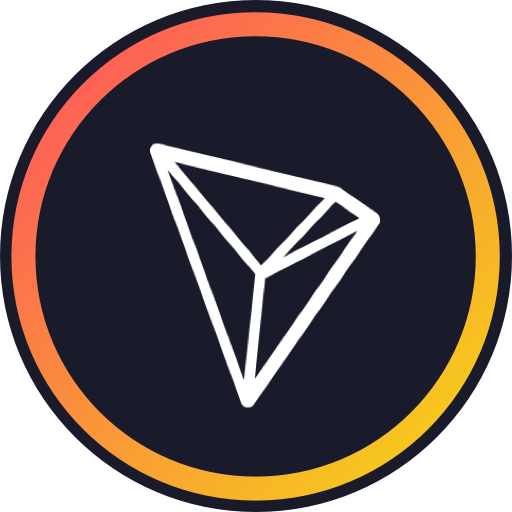 As you launch your TronWallet app, after a short introductory splash screen, you will have two options to continue with your TronWallet experience: Create or Restore a wallet. To create one, tap on the Create Wallet button. You will be redirected to a screen where you'll be asked to enter a PIN number twice. This will be your password for the app. Once you create your PIN we will ask you to write down a combination of 12 words required to recover your wallet should you need to. Your main user account in the app is a combination of your PIN number and your 12 words mnemonic. We strongly recommend that you back those up in the manner of your choosing (most of us write them down somewhere safe). Tapping on the I've written it down button will prompt you to repeat those words in the same order by tapping on the word buttons on the screen. 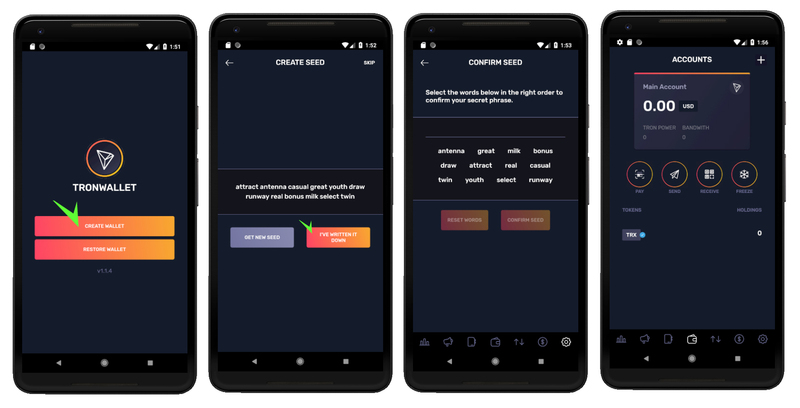 With the proper order of words, you are ready to tap on confirm seed and start using your TronWallet app with your new wallet.